MODULE #1: Deconstructing the Dive Industry In this module you’ll learn about the true nature of the diving industry, and how it has changed over the past three decades. You’ll also explore not only what it takes to be a successful professional in a dynamic industry, but why careers fail. Also discussed is why employers sometimes hire the wrong people, and how the dive industry has failed to fully prepare professionals for the challenges of the 21st century dive industry. MODULE #2: Merging Business and the Environment: A Guide to Marketing Sustainability: This module is an introduction to emerging field of sustainable marine tourism, and the concept of the “triple bottom line.” Discussions include consumer trends, and how the tourism experience can be improved in ways that maximize profitability. Other topics include: Shifting demographics and the “environmental” consumer; how to “green” your business, and how to market your green commitment as a business strategy; “greenwashing” and how to avoid it; diver perceptions and expectations; research studies into diver damage, and how to train, manage and supervise divers to prevent it. The discussion will conclude with case studies from around the world featuring successful dive operators who are blazing the trail to sustainability. 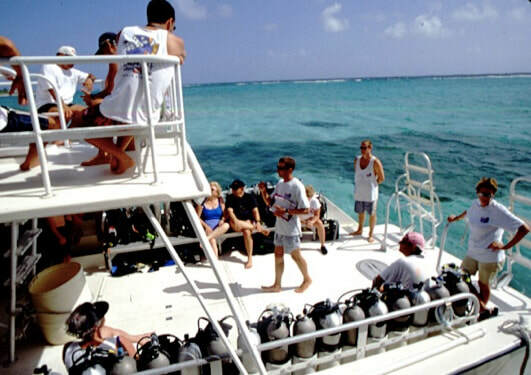 MODULE #3: Coral Reef Ecology for Dive Professionals This module introduces the basic biology of corals and coral reefs, including a discussion of ecological principles such as: competition, diversity, symbiosis, disturbance, adaptation, reproduction, and recruitment. And you’ll learn fascinating fact about the major community members living in coral reef ecosystems. Discussions also include a review of current polices and best practice for coral reef conservation and management. Later segments examine strategies, such as exploiting “teachable moments,” to improve the guest experience by explaining in simple but engaging ways what coral reefs are all about, and why they’re important to the health of our planet. A course highlight will be a night dive using special U/V lights to experience the phenomenon of fluorescence. MODULE #4: Coral Reef Restoration: The Science and Practice This module is a primer on the emerging science and technology of coral reef restoration. It reviews the development of current restoration technologies, their evolution to the current state-of-the-art and highlights existing programs currently underway throughout the world. You’ll enjoy learning how scientists and recreational divers are collaborating to make the environment “better than they found it.” The segment will conclude with information on how you can start a local coral restoration program. MODULE #5: Sharks in Depth: Conservation to Ecotourism This module begins with a comprehensive review of shark evolution, diversity, and biology. Also addressed are why sharks are vital components of a healthy marine ecosystem, what happens when sharks are removed and how humans benefit from sharks. We’ll explore the conservation status of major species, and why sharks are especially vulnerable to overfishing. Practical information includes insights into behavior so customers can safely observe sharks in the wild; and a new perspective on the true nature and risk of shark attack (highlighting a media campaign to change the way shark encounters are dealt with in the news). With this foundation, attention turns to case studies on how individuals and organizations are reducing the decline of shark populations. And we’ll examine best management practices and guidelines, along with engaging methods to educate the public about the plight of sharks. The module concludes with an in-depth discussion of shark tourism where we’ll explore this worldwide phenomenon, and offer insights into how tourism can be a tool for conservation. MODULE #6: Environmental Interpretation: From Tourist to Advocate This module begins by exploding the misconception that environmental interpretation is merely imparting interesting facts and stories in a way your customers will enjoy. It’s not; environmental interpretation is an evolved discipline with its own scientific underpinning and methodology. In this discussion you’ll learn why many environmental education programs fail, the art of changing attitudes and how to turn your customers into advocates for ocean conservation. You’ll also learn how to construct “mindful” presentations and programs. The module will conclude examining the five essential qualities of interpretation, and later in the course you’ll have opportunities to develop and practice what you’ve learned about interpretation with real customers. NOTE: This program is currently offered exclusively through Sea Experience in Ft. Lauderdale, Florida. For more information on dates, accommodations, tuition and other details click here. Address: 2364 SW Valnera St.